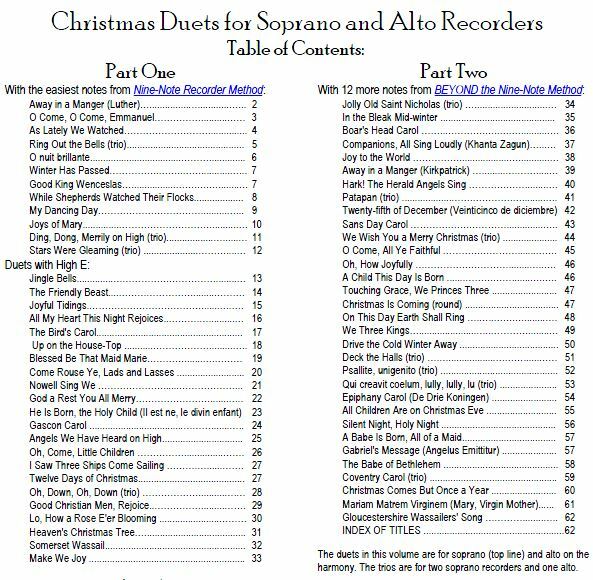 The table of contents is the same whether ordering the version for two sopranos or two altos or for soprano and alto. 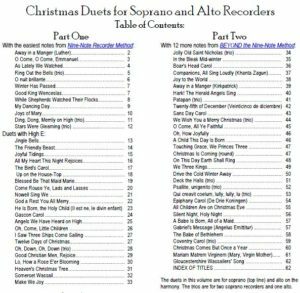 Songs in Part One use only the 9 easiest notes; for Part Two, learn the rest of the notes in the Beyond the Nine-Note Recorder Method for soprano or for alto. To order, return to Recorder Books in the Nine-Note series.